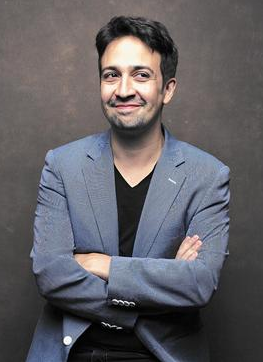 Will Lin-Manuel Miranda Join the Group of Artists Who Have Accomplished the EGOT? Actor-composer-rapper-writer Lin-Manuel Miranda is nominated for the Academy Award (also commonly known as the Oscar) for Best Original Song for his composition "How Far I'll Go" from the film Moana. Should he win, he would be the 13th person and second Puerto Rican/Latino (after Rita Moreno) to achieve the competitive EGOT (winning the Emmy, Grammy, Oscar, and Tony awards, all in a non-honorary capacity). Also should he win, he would be the youngest person (at age 37) to achieve it and the person who has accomplished it in the least amount of time between first and fourth awards (nine years) Also, because he has also won the Pulitzer Prize, he would be the third person (after composers Marvin Hamlisch and Richard Rodgers) and first Latino to achieve the PEGOT. Below is a list of some of the awards that Lin-Manuel Miranda has won. • 2015 MacArthur Fellowship for "reimagining American musical theater in works that fuse traditional storytelling with contemporary musical styles and voices"
The winners for the 23rd annual Screen Actors Guild (SAG) Awards were announced on Sunday, January 29, 2017. Given by the Screen Actors Guild-American Federation of Television and Radio Artists (SAG-AFTRA), the SAG Awards (whose trophy is known as "The Actor") recognize outstanding performances in film and primetime television. 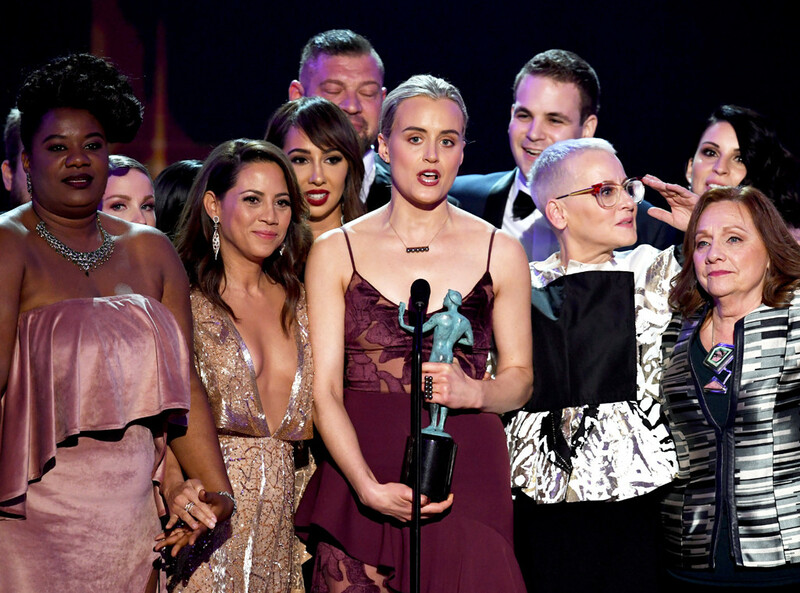 For the third consecutive year, the SAG Award for Outstanding Performance by an Ensemble in a Comedy Series went to the cast of "Orange is the New Black" (Netflix). The ensemble includes Jackie Cruz, Laura Gómez, Diane Guerrero, former HOLA Award honoree Selenis Leyva, Jessica Pimentel, former HOLA Award honoree Dascha Polanco, and Elizabeth Rodríguez. For more information (including a list of nominees and winners of the 2017 SAG Awards), click here. Throughout my on-camera career, I’m often asked, “What’s the difference between a co-star and a guest star?” In a nutshell, and aside from the contract difference, a co-star helps keep the story moving along (e.g. the person who discovers the body in the "Law & Order" teaser). 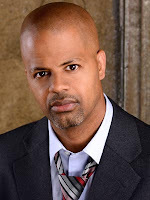 A guest star, for the most part, is an integral part of the storyline, which may range from one episode to multiple episodes (keeping with the "Law & Order" example, the suspect, the defense attorney, etc.). Okay, so now you know the difference between the two. So… you’re at a survival job and your phone rings; it’s your agent. You booked a guest star/co-star role on a major show! Now what? With actor Harris Yulin on set. Know who is involved in the project– director, executive producer(s), writers and producers. Make yourself familiar with their work if you’re not already, this is how you’ll find the “tone” of the show. You’ll find out that more often than not these production teams (director, executive producer., writers, producers) work together on several projects and you can see their “style”. This should inform your decision as to how to play the scene. Read the entire script, not just the scenes you’re in. Know the whole story and the story that you’ll be telling. Hopefully, you’ve started all this work when you first got the audition, because the turnaround from audition to shooting is often a matter of days. Therefore, much of the actor’s work must be done before you actually begin production. You should have a repertoire of archetypal characters, which you pick from, and adjust and refine for a particular project. Okay…you’re on set! This can sometimes be little weird (it is for me, at least). Everyone here has been working together for quite some time; they know each other. It can sometimes feel like you’re an outsider. But, remember, you are there to do one thing: tell the story. Trust the work you’ve already done. Don’t “ACT,” and for the co-star, do not try to impact the scene. Co-star roles are used as a device to move the story along. You are still an important part of the production (just as vital as anyone else on the set). Never forget that. Joseph Meléndez began his career on the stage performing on Broadway, Off-Broadway, and stages around the world before transitioning to on-camera work. He’s been seen on major television networks, from his recurring role on Fox’s "Prison Break", to guest star roles on CBS’s "Person of Interest", "Elementary" and "Blue Bloods"; NBC’s "The Blacklist", ABC’s "Pan Am", and Netflix’s "Orange is the New Black". His films include the blockbuster hit Fast Five, The Brave One, the award-winning independent films Runoff and Akron, and The Dark Rite. 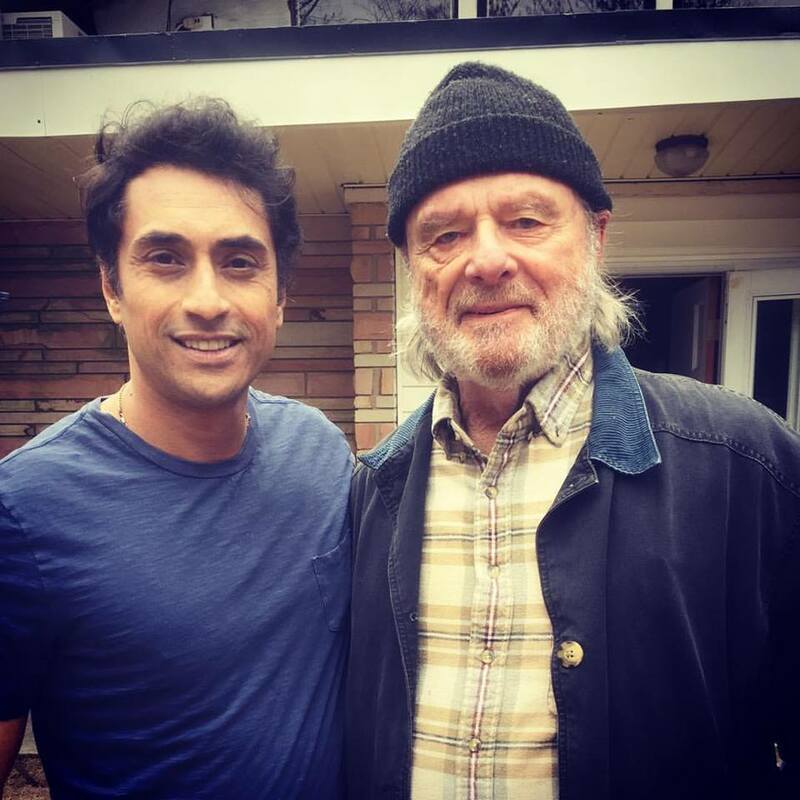 He has been teaching Meisner and On-Camera technique classes in New York and Los Angeles since 2010 and opened the Joseph Melendez Acting Studio in New York City. He is currently filming a recurring role in the upcoming Netflix series "Ozark". For more information, click here. Luis Salgado, shown at right, was featured in Broadway World, where his upcoming directing and choreography gig of the upcoming Axelrod Performing Arts Center (APAC) production of the Lin-Manuel Miranda and Quiara Alegría Hudes musical In The Heights is highlighted. The production will take place in March at Axelrod's eponymous theater in Deal Park, New Jersey. For more information, click here. Inma Heredia will be performing at the Unique Copla dinner event on Friday, March 24, 2017 at the Artspace 109 in Manhattan's El Barrio neighborhood. For more information, click here. Félix Hiciano, shown at left, co-stars, produced and wrote the screenplay (adapted from the Richard Thomas Henle play of the same name) of the feature film The Last Scene. The film, directed by Henle, co-stars A.B. Lugo and Eduardo Leáñez and is in post-production with a release date scheduled for the spring of 2017. Repertorio Español is set to present the stage adaptation of the Julia Álvarez best-selling novel In The Name Of Salomé. Adapted for the stage by Marco Antonio Rodríguez, it will be directed by José Zayas. The world premiere of En el nombre de Salomé will feature the acting talents of Jerry Soto, Johary Ramos, and Jesús E. Martínez and will take place in February 2017 at Repertorio's namesake theater located in the Rose Hill neighborhood of Manhattan. La Junta Nacional de Relaciones del Trabajo (NLRB por sus siglas en inglés) confirmó hoy que los actores de Telemundo decidirán su pertenencia a SAG-AFTRA en una votación histórica que podría extender protecciones sindicales a miles de artistas de habla hispana en los próximos años. La elección, que comienza martes, el 7 de febrero, 2017 y termina miércoles, el 8 de marzo, 2017 marca la primera vez en 65 años que los actores de una importante cadena de televisión han llevado una votación ante el NLRB. Una mayoría simple del "sí" permitirá a los actores de Telemundo negociar salarios justos, regalías, beneficios y medidas de seguridad en el set– protecciones básicas que NBCUniversal actualmente sólo extiende a sus intérpretes de habla inglesa en NBC. La votación ocurre en un momento en que Telemundo, propiedad de NBCUniversal, ha aumentado sus ratings en el horario estelar, en gran parte debido al éxito de sus telenovelas y otros dramatizados con guión. De hecho, Telemundo ahora se autoproclama como una de las cuatro primeras cadenas de televisión en los Estados Unidos. "Estamos ansiosos de tener la oportunidad de votar y crear un ambiente de trabajo justo para todos en nuestra industria", dijo Katie Barberi, actriz que cuenta con papeles principales y secundarios en 20 telenovelas. "Estamos orgullosos del éxito de Telemundo y creemos que la representación de SAG-AFTRA hará que sea una televisora aún mejor en el futuro". El voto administrado por el NLRB se llevará a cabo por votación secreta, la cual será enviada por correo a los artistas elegibles de Telemundo. SAG-AFTRA realizó la solicitud con el NLRB viernes, el 9 de diciembre de 2016 y convocó a una elección. "Este voto es sobre equidad, equidad y los derechos fundamentales de los actores de habla hispana en esta industria y en nuestro país,” dijo Gabrielle Carteris, la presidenta de SAG-AFTRA. Hemos dado todo el apoyo a los artistas de Telemundo mientras toman este paso valiente y esperamos darles la bienvenida a nuestra familia de 160,000 profesionales de medios de comunicación y entretenimiento." Para más información, SAG-AFTRA ha lanzado un sitio en la red electrónica para los artistas de Telemundo interesados en aprender sobre la campaña y cómo SAG-AFTRA continúa elevando el estándar en las industrias para sus miembros. Los intérpretes pueden visitar sagaftraunidos.org para leer la declaración de apoyo de los miembros actuales, y una lista completa de los partidarios que incluye a Alec Baldwin, Rosario Dawson, Susan Sarandon, Andy García, Chris Rock, Kate del Castillo, Julia Louis-Dreyfus, Jaime Camil, Rita Moreno, Scarlett Johansson, Zoë Saldana y Bryan Cranston, entre otros. 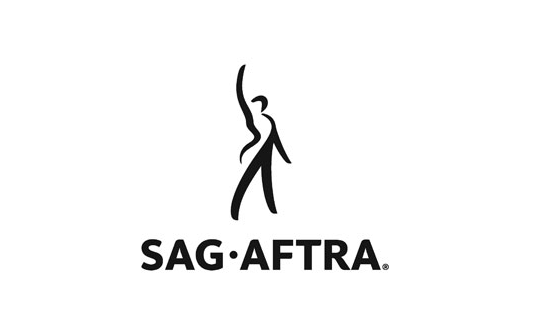 The National Labor Relations Board confirmed today Telemundo performers will decide whether to join SAG-AFTRA in an historic vote that could extend union protections to thousands of Spanish-speaking performers in the coming years. The election, which begins Tuesday, February 7, 2017 and ends Wednesday, March 8, 2017, marks the first time in 65 years that actors at a major television network have taken a vote to the NLRB. A simple “yes” majority will allow Telemundo performers to negotiate for fair pay, residuals, benefits and on-set safety measures—basic protections that NBCUniversal currently extends only to its English-speaking performers at NBC. The vote comes as NBCUniversal’s Telemundo has surged in prime-time ratings largely due to the success of its telenovelas and other scripted dramatic programming. 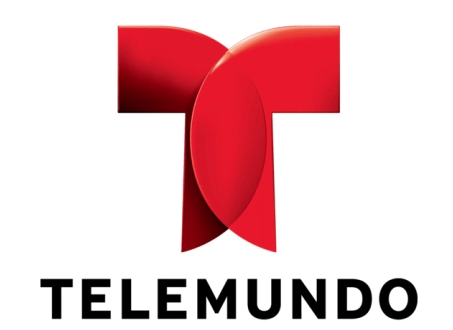 In fact, Telemundo now bills itself as a top four TV network in the U.S. The NLRB-administered vote will be conducted by secret ballot, which will be mailed to eligible Telemundo performers. SAG-AFTRA petitioned the NLRB on Friday, December 9, 2016 and called for an election. 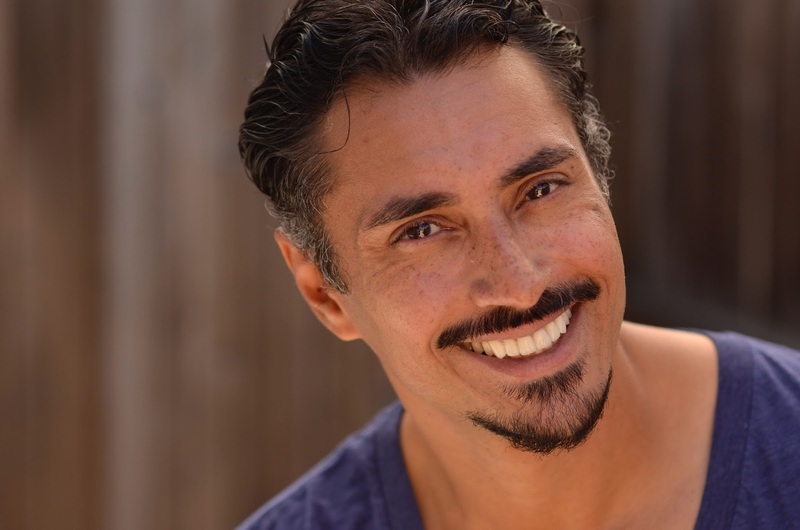 For more information, SAG-AFTRA has launched a website for Telemundo performers interested in learning about the campaign and how SAG-AFTRA continues to raise the standard across industries for its membership. Performers can visit www.sagaftraunidos.org to read the statement of support from current members and a full list of supporters that includes Alec Baldwin, Rosario Dawson, Susan Sarandon, Andy García, Chris Rock, Kate del Castillo, Julia Louis-Dreyfus, Jaime Camil, Rita Moreno, Scarlett Johansson, Zoú Saldana and Bryan Cranston. Mario Golden, shown at right, was featured in American Theatre magazine, as a result of him being selected by The Drama League as one of its 2017 artists-in-residence, where he will develop his solo show Father God Mother Death (to be directed by Andreas Robertz). To read the American Theatre article, click here. 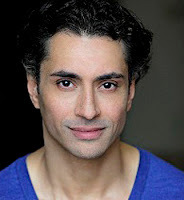 In addition, he was featured in Broadway World, where it reported that the same solo show will be directed by Robertz and Nancy Ferragallo and presented in May at The Cherry Lane Theatre (located in Manhattan's Greenwich Village) as part of the Downtown Urban Arts Festival (DUAF). The schedule and location for each show in the festival will be determined at a later date. To read the Broadway Blog article, click here. Judy Torres will be one of the headliners of the Freestyle and Old School Extravaganza 2017 concert. Other performers include Lisa Lisa, Stevie B, TKA, The Jungle Brothers, Lisette Meléndez, and others. The concert will take place on Friday, February 10, 2017 at Radio City Music Hall in the theater district of midtown Manhattan. For more information, click here. Caridad de la Luz (also known by her nom de poésie et de musique La Bruja), shown at left, was profiled in the Livin' Americana blog, where she spoke of her life and career as a poet-actress-singer-playwright. Prominently highlighted is her role in the salsa jukebox musical I Like It Like That (book written by Waddys Jáquez and David Maldonado; directed and choreographed by Jáquez), now running through the end of January at the Puerto Rican Traveling Theater, located in the theater district of midtown Manhattan. To read the blog, click here. Luis Salgado will be moderating a panel titled "Broadway en Español" at the upcoming BroadwayCon 2017 in New York City. The panel will take place on Friday, January 27, 2017 at the Jacob Javits Convention Center (located in Manhattan's West Side) and feature panelists Javier E. Gómez; former HOLA honoree (and Academy Award winner) Alexander Dinelaris; Doreen Montalvo; María Santana; and Andy Señor, Jr. For more information, click here or here. The 89th Academy Awards ceremony, presented by the Academy of Motion Picture Arts and Sciences (AMPAS), will honor the best films of 2016 and will take place on Sunday, February 26, 2017, at the Dolby Theatre in Hollywood, Los Angeles, California. During the ceremony, AMPAS will present Academy Awards (commonly referred to as Oscars) in 24 categories. 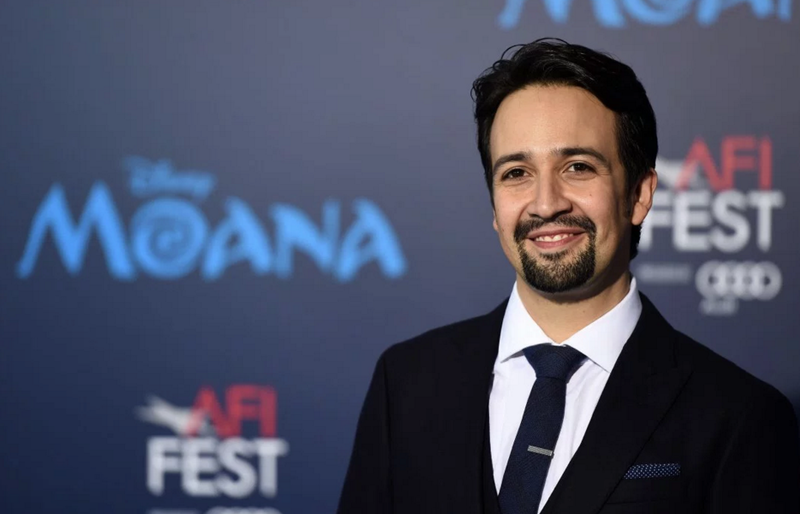 Lin-Manuel Miranda picked up an Academy Award nomination for Best Original Song for writing the lyrics and music to the song "How Far I'll Go" from the animated film Moana. If he were to win, he would then add "Oscar" to his Emmy, Grammy and Tony awards. Director Juanjo Giménez received a nod in the category of Best Live Action Short Film for his work Timecode. Cinematographer Rodrigo Prieto received an Oscar nomination for his work in the Martin Scorsese film Silence. Makeup effects artist Richard Alonzo picked up a Hairstyling and Makeup nomination (with Joel Harlow) for his work on Star Trek: Beyond. Adam Valdez (along with Robert Legato, Andrew R. Jones, and Dan Lemmon) earned a nod in the category of Best Achievement in Visual Effects for his work on The Jungle Book. In the Technical Achievement categories, Marcos Fajardo was honored with a Scientific and Engineering Award for the creative vision and original implementation of the Arnold Renderer. Thiago Ize, with Chris Kulla, Alan King, and Clifford Stein, picked up awards for their highly optimized geometry engine and novel ray-tracing algorithms which unify the rendering of curves, surfaces, volumetrics and subsurface scattering as developed at Sony Pictures Imageworks and Solid Angle SL. 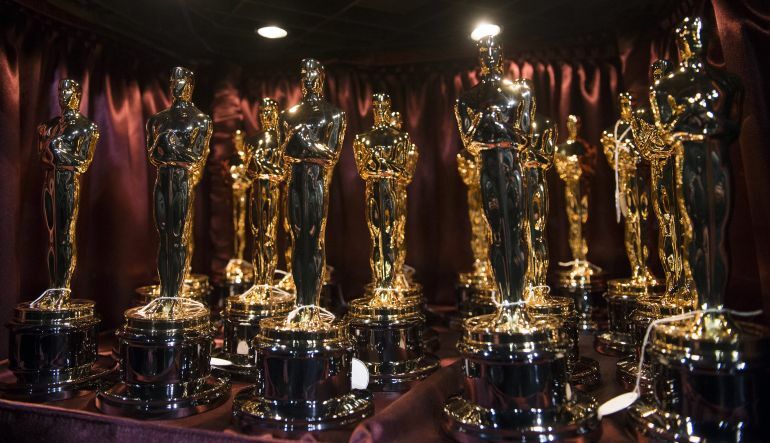 The Oscar ceremony, televised in the United States by ABC, will be produced by Michael De Luca and Jennifer Todd. Television host Jimmy Kimmel will host the ceremony for the first time. In related events, the Academy held its 8th Annual Governors Awards ceremony at the Grand Ballroom of the Hollywood and Highland Center in Los Angeles, California on Saturday, November 12, 2016. On Saturday, February 11, 2017, in a ceremony at the Beverly Wilshire Hotel in Beverly Hills, California, the Academy Awards for Technical Achievement in 18 categories will be presented. For more information, click here and here. On-location film and TV production hit record levels in Los Angeles last year – at least in recent years – thanks in large part to the state’s upgraded $330 million annual film incentives program. On-location feature film production was up 6.2% over 2015, and on-location TV production was up 4.8%, despite a weak fourth quarter. 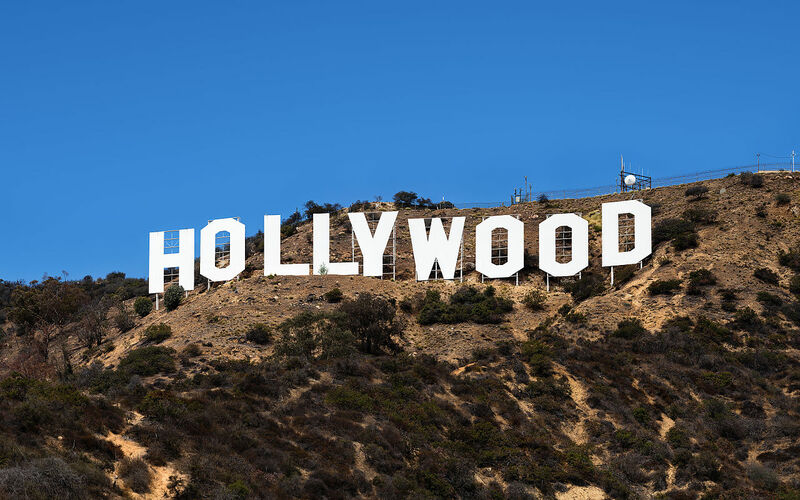 Last year, L.A. saw 39,605 on-location shooting days, defined as one crew’s permission to film at one or more locations served by FilmLA, the city’s film permit office, during a 24-hour period. The data does not include on-the-lot filming at the major studios and networks or on certified soundstages. That’s an increase of nearly 10,000 shooting days from 2011 – an increase of nearly 33% — when the state incentives were a third of what they are now. For more information, read David Robb's article in Deadline by clicking here. 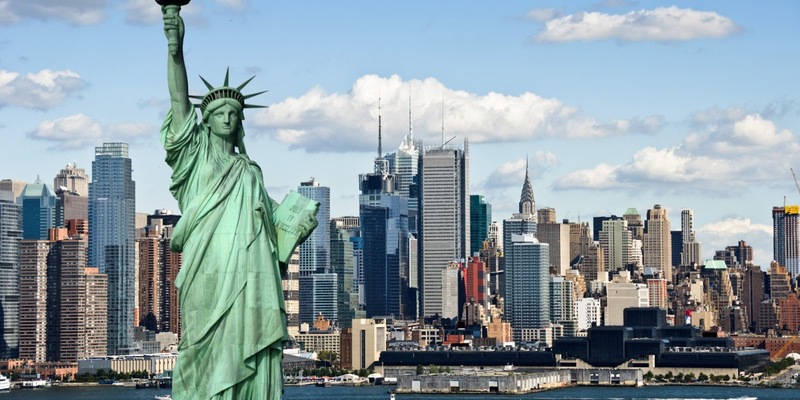 On Tuesday, January 17, 2017, New York Governor Andrew Cuomo unveiled a state budget that includes a three-year extension of the state’s film production tax credit. Launched in 2004 and extended by Cuomo in 2013, the $420 million-a-year program isn’t set to expire until 2019 but was expected to run out of money later this year without the additional funding provided for in the new state budget. Allison Strong, shown at right, will perform the national anthem for the New Jersey Devils home game against the Montreal Canadiens on Friday, January 20, 2017 at the Prudential Center in Newark, New Jersey. For more information, click here. Edna Lee Figueroa, Edmi De Jesús and Jerry Soto co-star in the Txemi parra play La terapia. Directed by Gerardo Gudiño, the play also stars Mario Mattei and Noëlle Mauri and will be presented from February through April as part of the Micro Teatro New York 2.0 at Teatro SEA, located in The Clemente Soto Vélez Cultural and Educational Center (home to HOLA) in Manhattan's Loísaida neighborhood. The film ¡Ay, Que Susto! (Oh, What A Fright!) is continuing to hit the film festival circuit– and picking up awards along the way. The film, written by Mo Zapata and A.B. Lugo, with cinematography and co-production by Anthony Ruiz, co-starring Natalia Ivana Escobar, and co-produced and directed by Zapata, recently won the Best Horror Comedy Short Award from the Macabre Faire Film Festival, which took place in January 2017 in Ronkonkoma, New York. Johanna Tolentino was interviewed by Keith Andrew for his online talk show "Keith Andrew Network", where she spoke about her life and career. To see the webisode, click on the video below. Caridad de la Luz (also known by her nom de poésie et de musique La Bruja) and several of her castmates from the musical I Like It Like That were interviewed by Ebby Antigua of Latina magazine, where they talked of their experience on the salsa jukebox musical (book by Waddys Jáquez and David Maldonado, directed by Jáquez). The show stars Domingo Quiñones and is running through the end of January at the Puerto Rican Traveling Theater (located in the theater district of midtown Manhattan). To see the interview (Ms. de la Luz is at the far left, dressed in character, in the beret and sunglasses), click on the video below. Vivienne Jurado, shown at right, is co-producing a panel discussion entitled "Empowering Women Through the Arts & Media". The panel discussion will feature the participation of Jurado, Aileen Soo, Bárbara Matos (of CBS Diversity and Inclusion), Rebecca Damon (of SAG-AFTRA), among others, and will take place on Wednesday, January 25, 2017 at El Barrio's ArtSpace PS 109, located in Manhattan's El Barrio neighborhood. For more information, click here. 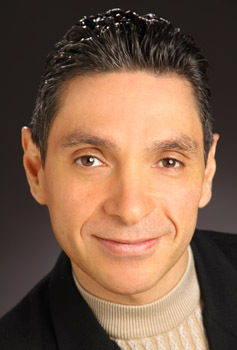 Gilbert Cruz booked a Spanish-language voiceover for the Colorado Lottery. Kathy Tejada is starring in the Cristián Cortez Galecio play Maduritas, macrobióticas y multiorgásmicas. Directed by Franco Galecio and produced by Teatro Fragal, it will be presented, due to popular demand, for a command performance on Saturday, February 11, 2017 at the Iglesia St. George in the Flushing area of Queens. Raquel Almazán is directing The First Bridge. 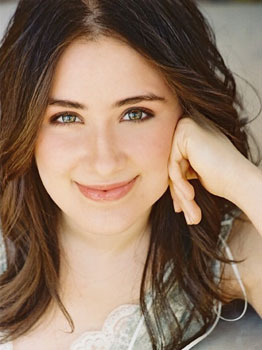 The short play by Jim Gordon will star Maeve Yore and Thomas Conroy and be presented in January and February as part of the T. Schreiber’s 4th Annual 10-Minute Short Play Festival at T. Schreiber Studio, located in Manhattan's Chelsea neighborhood. For more information, click here. 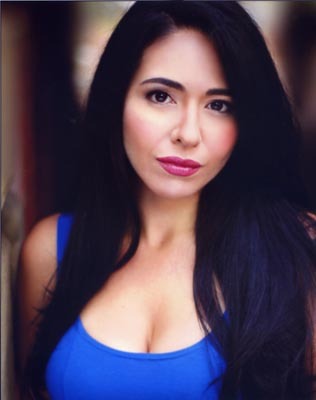 Caridad de la Luz (also known by her nom de poésie et de musique La Bruja) was interviewed alongside her co-star Domingo Quiñones, by former HOLA Award honoree Lynda Baquero on the NBC New York program "Visiones", where they spoke about their roles in the musical I Like It Like That. With a book by Waddys Jáquez and David Maldonado, the salsa jukebox musical is directed by Jáquez and running through the end of January at the Puerto Rican Traveling Theater, located in the theater district of midtown Manhattan. To see the interview, click here.